(November 14, 2015) Re:- Opus Records, Waltham Cross. 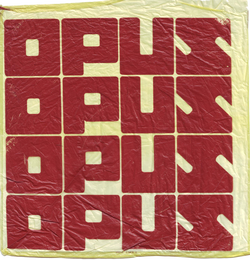 Hi there, It was really great to read the Posts about Opus Records. I remember when I lived in Enfield Lock, hearing about this great new Record Shop at the new Shopping Centre at Waltham Cross. My first visit was on a cold wet drizzly Saturday afternoon in November roundabout 4 o'clock. Must have been 1972/73 I think. Wow! It was the first real Record shop of it's kind I had known, (always had to rely on the Co-Op and Marsden's TV and Radio Shop before). I remember buying Led Zeppelin 4 and Steeleye Span's Individually And Collectively on that day. I paid a few more visits, and then suddenly it had gone. As has been said, the place had a real laid-back atmosphere, and the music was never too loud. Unlike some of the Music Outlets now. You could have an audible conversation with like-minded people and listen to great music at the same time. It all seems like a lifetime ago now, but I can remember those times as if it were yesterday. Thanks for reminding me it was not a dream. Comment: Michael Clark.